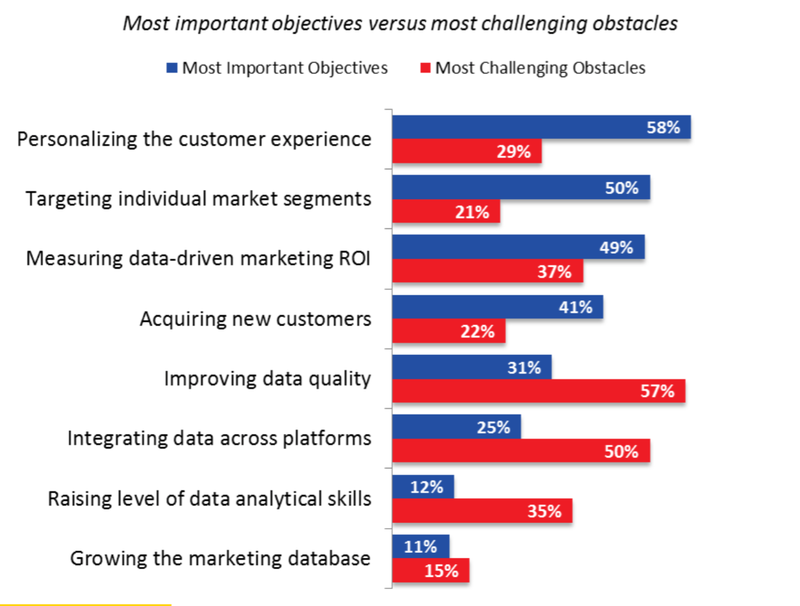 Recent research by Informatica/D&B/Ascend2 asked 234 marketing professionals how they use big data and what there biggest challenges are. The drive for personalizing the customer experience by individual market segments is paramount to marketers. This allows them to craft more meaningful messages at the point of contact … resulting in higher engagement and ultimately greater ROI. Measuring performance is always an important goal as well. Data quality is a huge issues as data is pulled from a wide array of sources. 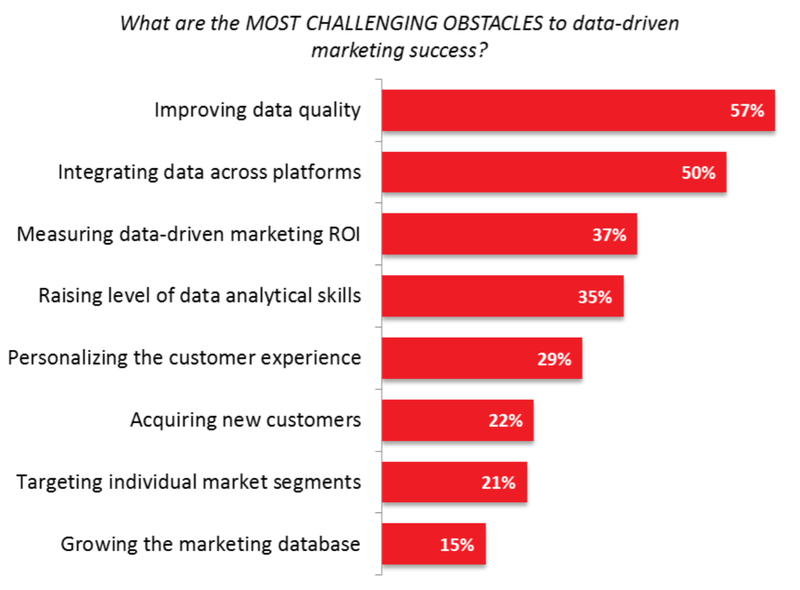 In fact, only 16% of marketers say their data is very good. While validating the data is difficult, it’s even harder to unify it across platforms for consistency at every point of customer contact. 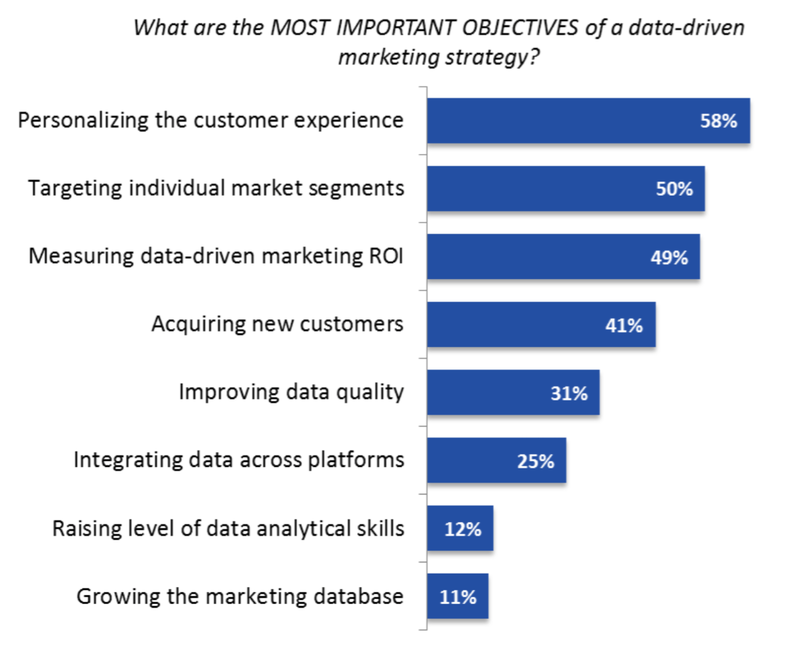 While personalization and targeting are key goals, accurate measurement of marketing initiatives is a continual issue as brands work hard to rationalize the data to prove ROI to top management. The More Fields Required, the Less Response … Which Ones are Most Critical? 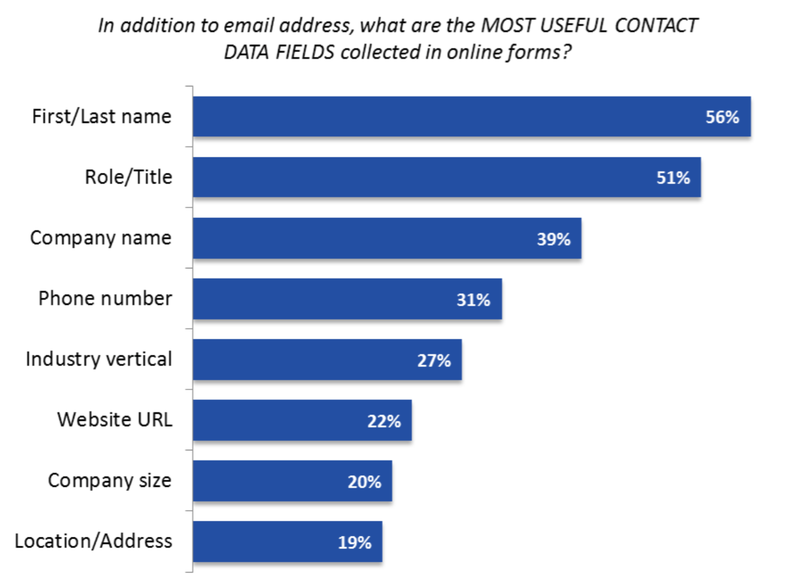 Beyond email, name and title are the most desired contact information. Zig is a nimble digital consultancy with deep expertise in Social/Mobile/Video marketing. Our approach is different … we go beyond generating awareness to educate consumers about your products and get them to buy. This entry was posted in Big Data, Content Marketing, Digital Marketing and tagged advertising performance, analytics, attribution, Big Data, content marketing, future of digital marketing, marketing ROI. Bookmark the permalink.